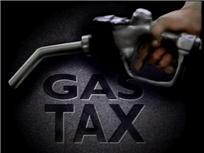 What did Tim Murray do to deserve being pushed out in front of a gas tax hike? First an aside. When did “revenue” replace “tax” in the every day vernacular? Without knowing for sure, I feel like it started only a few years back. First it was a sly evasion, almost a euphemism. “We need to look at revenues” became a cautious way for a politician – Governor Patrick and President Obama come to mind – to broach the subject of new taxes without saying the word “taxes.” Over a short time, though, “revenue” has eclipsed “tax” in common usage, both in DC and on Beacon Hill. It sounds so benign. And “no new revenues!” sounds so irrational. Anti-growth even. Which of course is part of the reason behind this rhetorical substitution. Anyhow, what brings this to mind currently is the discussion going on in the Patrick Administration about a whole slew of new taxes and fees associated with how we get from place to place. With hundreds of millions of dollars in federal aid potentially on the chopping block and an aging transportation infrastructure prone to breakdowns, a commission tasked with evaluating the state’s transportation system strategized Monday about the best way to build support for new revenue within the Legislature and among the public. Alan Macdonald, who chairs the committee, described as “good news” a recent editorial in support of an increase in the state’s gas tax. Secretary Mullan said he intends to press lawmakers about the type of transportation system they’d like in their region. “For the system we currently have and for the system we want to have, reform may not be enough,” he said. After the committee meeting, Mullan told reporters that he wasn’t endorsing new revenue but suggested that without it, policymakers will need to brace for fundamental changes to the transportation system. “We have got to reach in our wallet… and invest in ourselves.” An editorial supporting a gas tax hike is “good news.” “Reform may not be enough.” That’s an awful lot of talk about “revenue” for a conversation that the Secretary claims is not happening. So what kind of “revenues” are being discussed in this supposed non-conversation? An April report from A Better City identified a slew of potential revenue sources to help close the estimated $20 billion maintenance gap in the state transportation system – although researchers argued that the gap had likely widened since those estimates were offered. Among the revenue options offered in the report: additional motor fuel taxes, personal property tax on motor vehicles, a fee for vehicle miles traveled by drivers, emission fees, parking taxes, property taxes, the personal income tax, payroll taxes, carbon taxes, development impact fees and a local option sales tax. Phew. That’s an awful lot of “revenue.” But fear not. ABC’s list is likely being floated out in its entirety now so that when the Patrick Administration settles into its pitch for the “revenue” it really wants, it appears mild by comparison. And as anyone who has paid attention to Massachusetts politics over the past five plus years well knows, the Patrick Administration has always been a big fan of one particular transportation-related “revenue” source: a gas tax hike. Over the course of two (successful) statewide campaigns for Governor, Patrick steadfastly insisted that he had “no plans to raise taxes.” But the Governor’s fondness for a gas tax hike is well known. That’s the beauty of the “no plans” formulation; it is absolutely true, right up to the moment when it is not. He gave the hike a shot in 2009, and even used the failed attempt as a selling point to his base last year. Lt. Gov. Timothy P. Murray, citing the growing cost of maintaining the state’s transportation infrastructure, said today the administration may soon be seeking an increase in the gas tax. Reports indicate that the state’s transportation needs appear to be growing faster than the state can afford to repair and update its infrastructure. Mr. Murray said a discussion about raising revenues for transportation needs is coming in the next year or two. “I think there are still a few items left on the ‘reform before revenue’ punch list, but I do think we are getting close (to needing to look for new revenues for transportation),” he said. “I think we need to look at some type of revenue, dedicated in some manner or form, in the next year or two to meet the needs of our transportation system,” Mr. Murray said. “It could be a combination of things” that might include a gas tax hike, he said. Additional revenue could come in the form of higher tolls, fares or taxes, he said. Mr. Murray said he doesn’t wan to see tolls and fares go up. A few things about that. First, what did poor Tim Murray do to deserve being marched out in front of a tax hike just a couple of years before he runs for the big chair?